A stock in excellent condition is very difficult to find. This one, which was originally purchased in Boston, is remarkably well preserved. 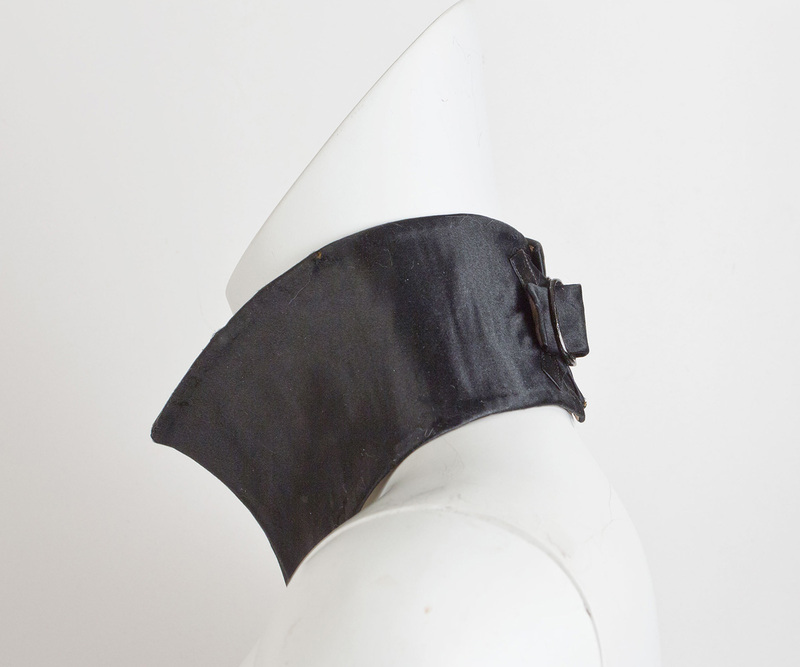 The stock is shaped with a center-front seam to accommodate the slope of the neck. It closes in back with a buckle. 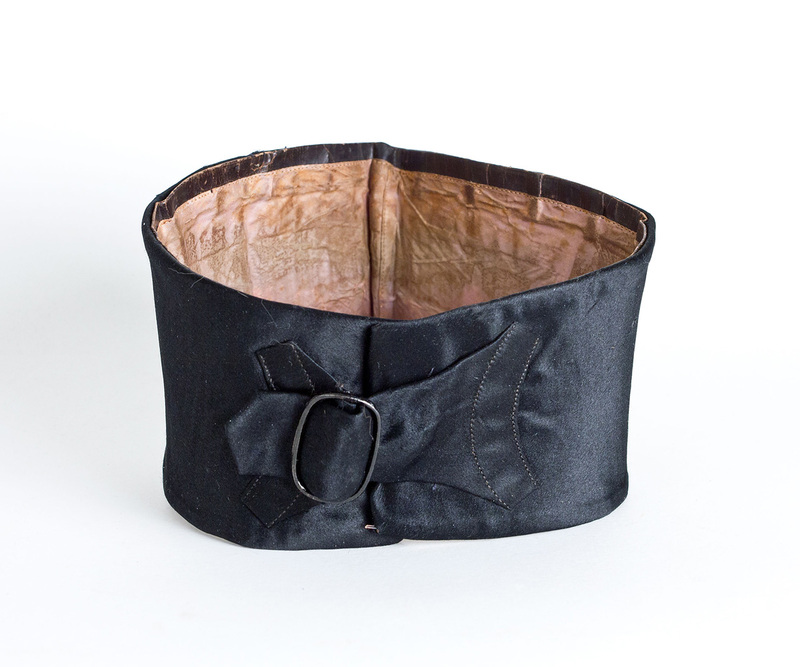 The exterior fabric is black satin; the lining is rose silk taffeta. 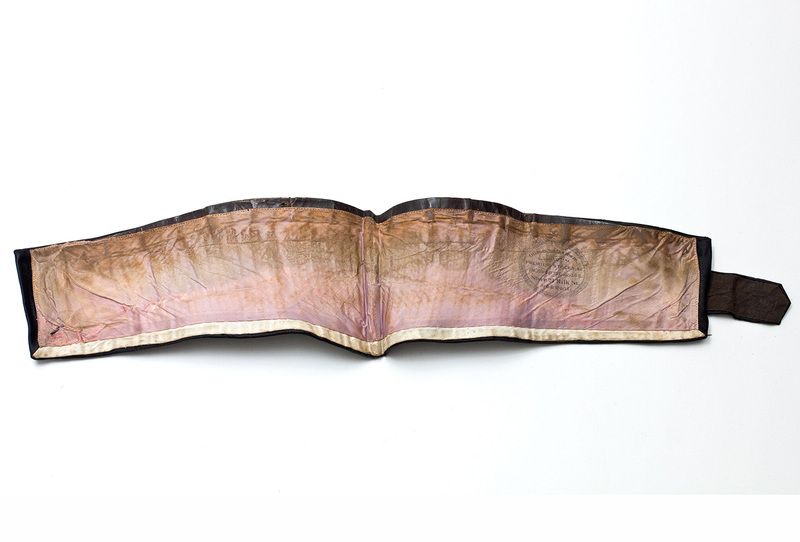 The stock is interlined with stiffening to hold the shape. Stocks were generally either black or white. Some had pre-tied bows attached to them. Others, like ours, never had a bow. 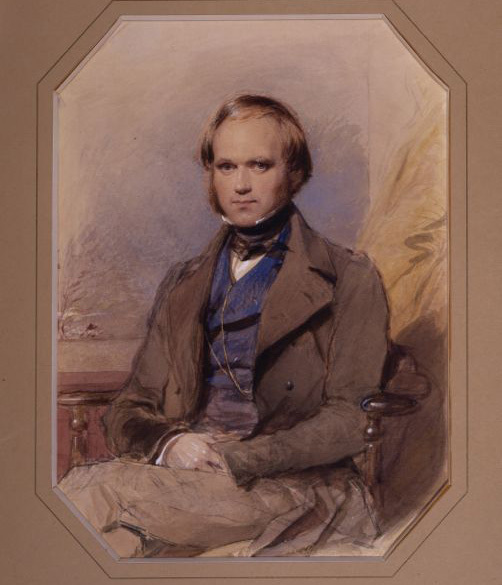 In the portrait below, a young Charles Darwin is wearing a black stock. Stocks, which gradually replaced hand-tied cravats, are often described as much easier to wear. The overlooked difference of shape is equally important. 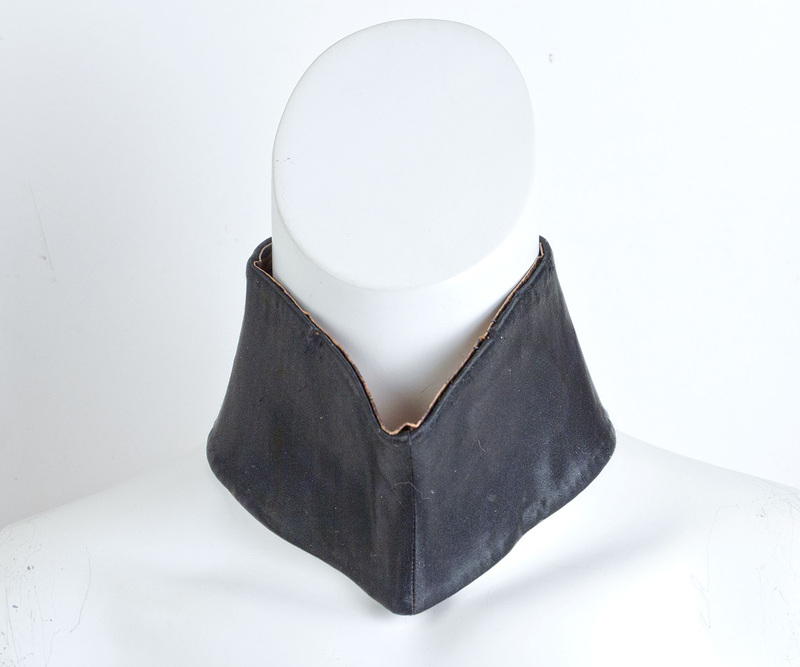 A cravat adds bulk since it is fabric wrapped and tied around the neck. On the other hand, the stock is shaped to fit the curve of the neck. Coming from a long standing collection, this stock was originally purchased from a Boston retailer. 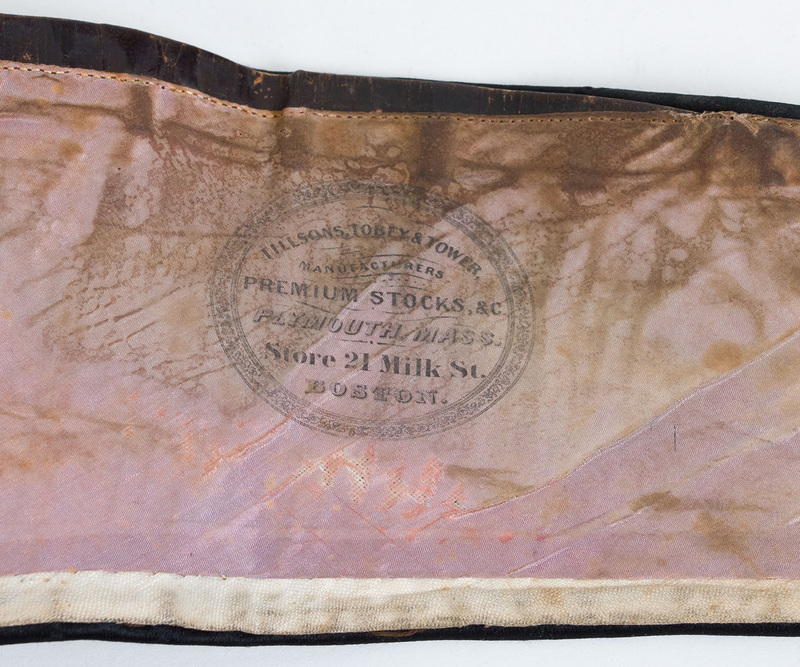 The label reads "Tillsons, Tobey & Tower/Manufacturers/Premium Stocks & C./Plymouth, Mass./Store 21 Milk Street Boston." The condition is almost excellent. The structurally sound stock has faint soiling on the lining. 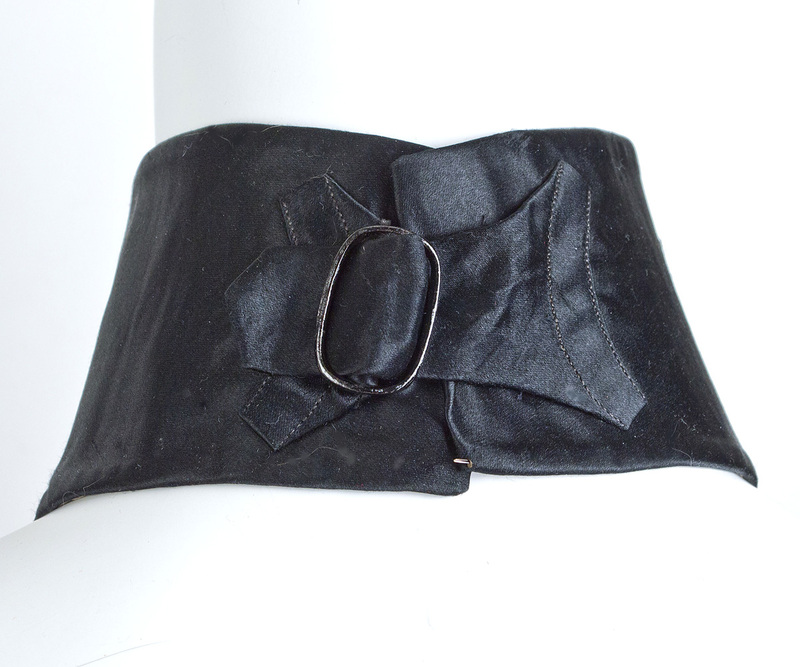 It is 3 1/2" tall at the center-front and 16 1/2" in circumference, excluding the buckle.